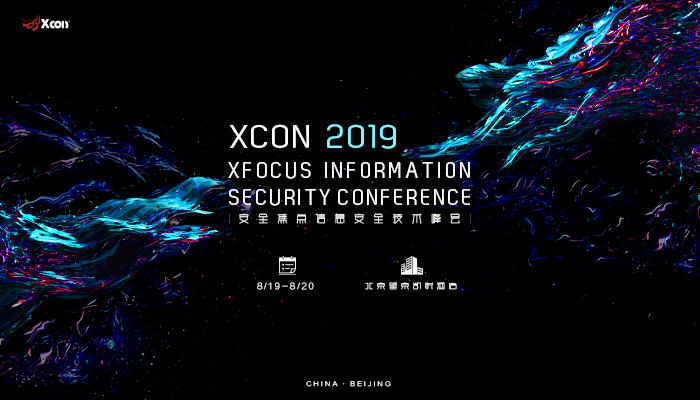 Hosted by:Beijing XFuturesec Information Technology Co., Ltd.
Having certain influence in the world, XFocus Information Security Conference（XCon） is one of the most authoritative and famous information security conferences in China. We create an international platform for security community of technical communication. XCon has been upholding its rigorous work style and each year, more than hundreds of high-notch technical experts, researchers, practitioners and business leaders in the Internet and Information security filed at home and aboard will attend. Every August XCon will meet you in Beijing, China. We welcome you to share us the new technologies, new discoveries and successful experiences! Registration fee will include 2 days conference pass, coffee breaks and lunch per day.